Victor learns it's now five hundred million! 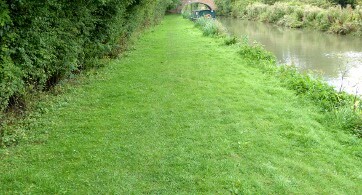 WOULD you believe that there are now five hundred millon visits to the waterways every year? That's what a Cart spokesman told the listeners to the BBC Countryfile program. So a simple bit of calculation of days in the year and miles of waterways brings it down to 684 visits to every mile every day. So you boaters such as continuous cruisers and the like who are out on the waterways at present will see 684 people passing today! Hold on, as we saw only a couple along the 84 miles stretch of the tidal Trent and you can go miles along the Shroppie without seeing a soul and how about the oh so popular Oxford Canal towpath as shown in the picture? These people must be somewhere else, so most likely there will be many more that 684 if moored on a popular place. Believe it? Of course not, only an idiot can believe it—such as those purveying these preposterous claims. 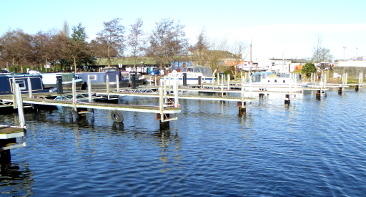 Many of you will have read that Cart is attempting to flog its marinas, with 'our man' telling that it is having trouble getting the price it wanted, though any prospective buyer can see they are not in an healthy position with it admitted their berths are only around two thirds full. Ours at Sawley has lost many of its narrowboats to marinas offering more facilities, plus of course, as I have often referred, having to tackle those extremely difficult six broad locks up to the main system, though it has many, many 'plastic' cruisers, their being able to get away with a 'rivers only' licence, with both the Trent and Soar at their disposal. But the small plastic jobs bring in nowhere near the mooring fees of the much longer narrowboats, so obviously show lesser income. I don't expect it will make too much difference to berth holders, but it would be appreciated if we, its customers, were told and not kept in the dark. I really have to agree with readers comments about the scarcity of anglers on the waterways, but it is good not to have to have them with their keep nets on lock moorings, something so regular in the past but rarely encountered now. There is little doubt that young people are just not interested in fishing, and I cannot remember when I last saw a youngster holding a rod. The reason given is that youngsters are more interested in computers and the like, than spending the day sat watching nothing! And there are of course those who just don't see the point of it all. I never have, not since that is when way, way back people went fishing to put food on the table, that did make sense. Will we now get power? 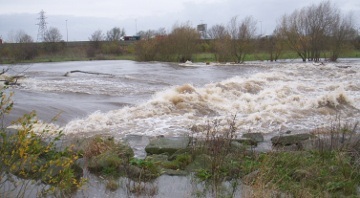 It was quite a few years back that there was a plan to install water turbines at Sawley, following the successful installation lower down river at Beeston, but the anglers told that it would affect their fishing, so it was stopped. This just did not make sense to me, for such power is free, but more important unlike solar that produces nothing in the dark and wind that also produces nothing when there is no wind, rivers produce continuous power. Allowing the anglers to be able to stop such a much needed power supply was ludicrous, especially as we are frequent boaters and walkers up that stretch of river and there is rarely an angler to be seen, they being more interested in the adjoining well stocked lakes.